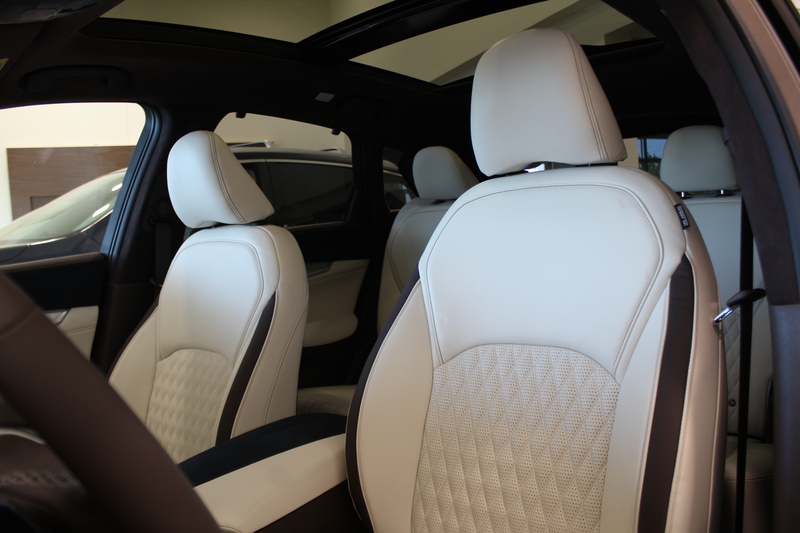 A first class event for a first of its kind vehicle. 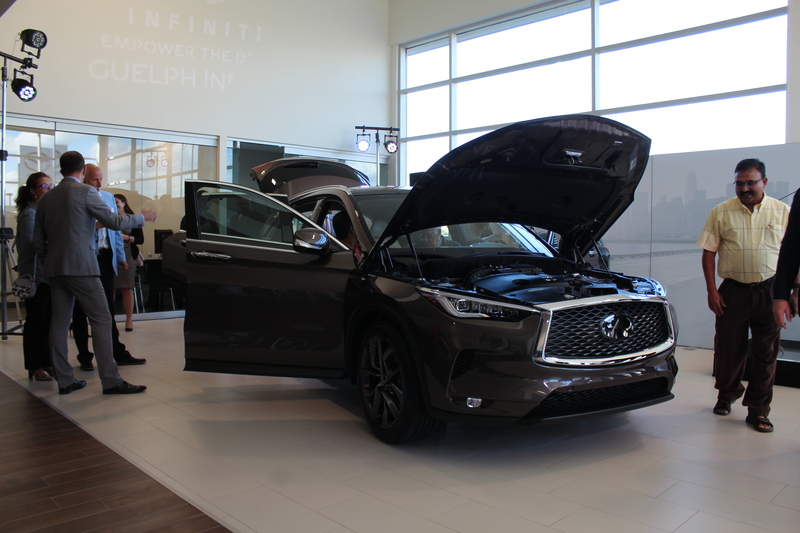 On Monday June 4th, Guelph Infiniti hosted it’s unveiling for the ALL-NEW 2019 Infiniti QX50. 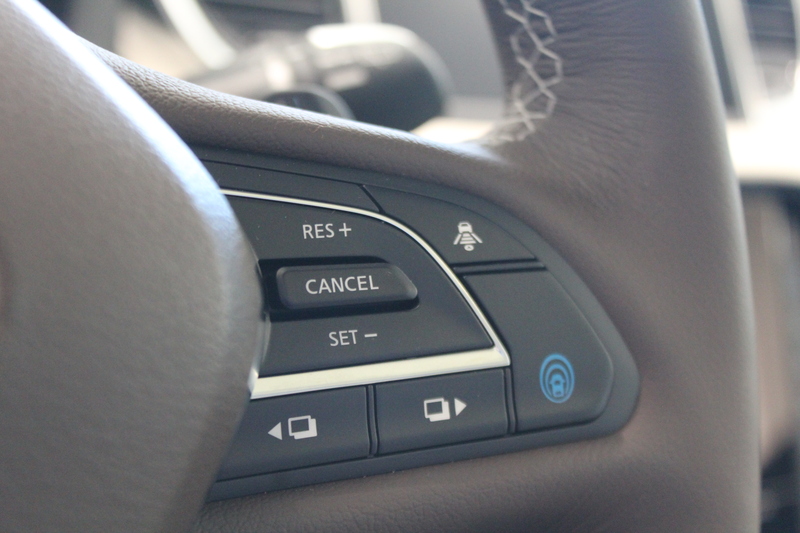 A vehicle that is poised to disrupt the automotive market with both its stunning design and its level of technology. Around 5:00 pm our guests started to arrive. They were greeted with warm smiles, delicious food supplied my Foodies Anonymous, as well as local beer and wine. Our guests were encouraged to purchase raffle tickets for three great prizes including a $500 Gift Certificate to Acqua Salon and Spa located downtown Guelph, a gift basket from Market Fresh also located downtown Guelph, as well as a golf foursome to the United Way Guelph Wellington Dufferin Charity golf tournament! All prizes were generously donated and all proceeds from the raffle were donated to Untied Way Guelph Wellington Dufferin. 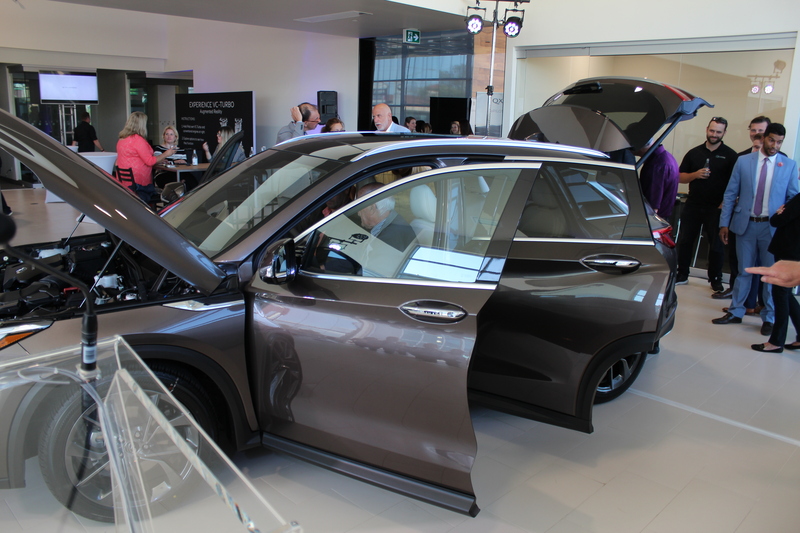 The crowd grew excited as our own General Manager, Joanne Pettifer took to the podium to commence with the unveiling of the all new QX50. 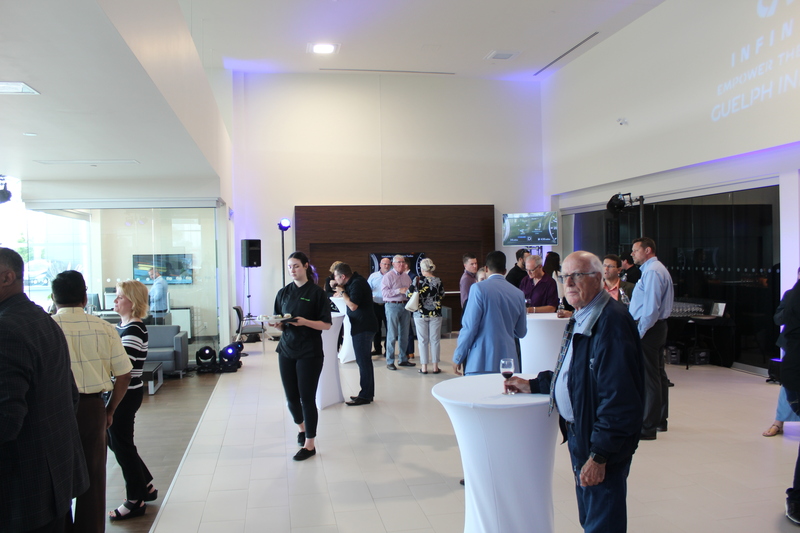 After introducing herself to the crowd and thanking everyone for attending, Joanne began to express how Guelph Infiniti is continuing with its commitment of giving back to the local community. Inviting Emma Rogers from United Way Guelph Wellington Dufferin to the front and providing Emma and United Way with a donation of more the $3,000 to help funding of local programs and local community groups. After the presentation and brief background on the QX50 Joanne introduced Alli Johaadien – National Aftersales Manager of Infiniti Canada to the podium. 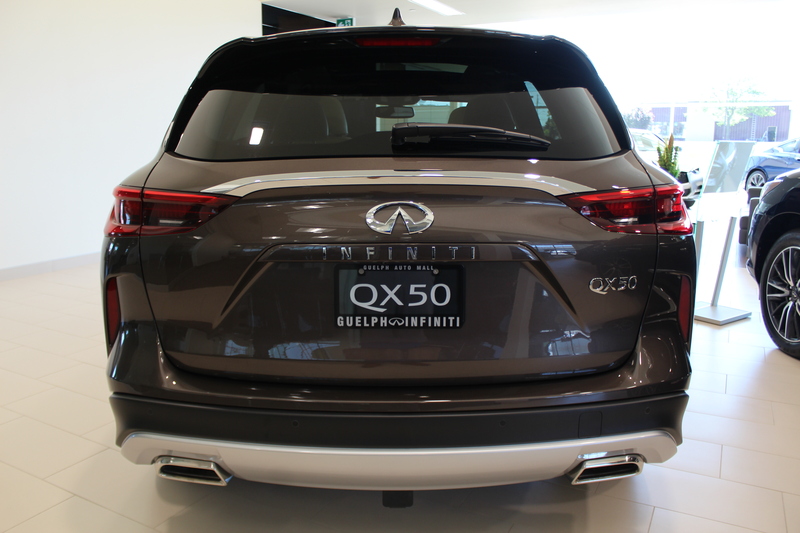 Alli spoke of the importance of the QX50 to Infiniti and how it “is the most significant vehicle in our 29 year history. It embodies everything the brand stands for and how we empower the drive”. 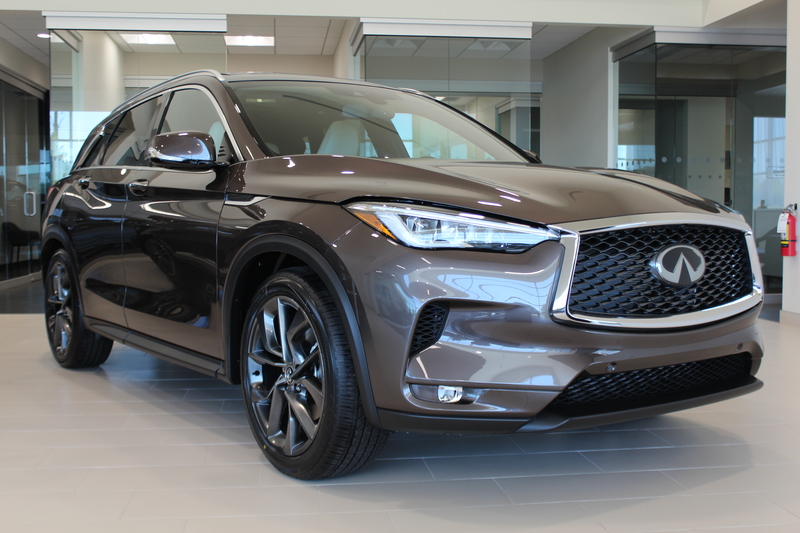 He then spoke of the new technology the QX50 is bringing to the market with its all new revolutionary Variable Compression engine or VC-engine for short. The all new engine is the first ever to transform on command to provide the power of a 6-cylinder and the fuel efficiency of a 4-cylinder. 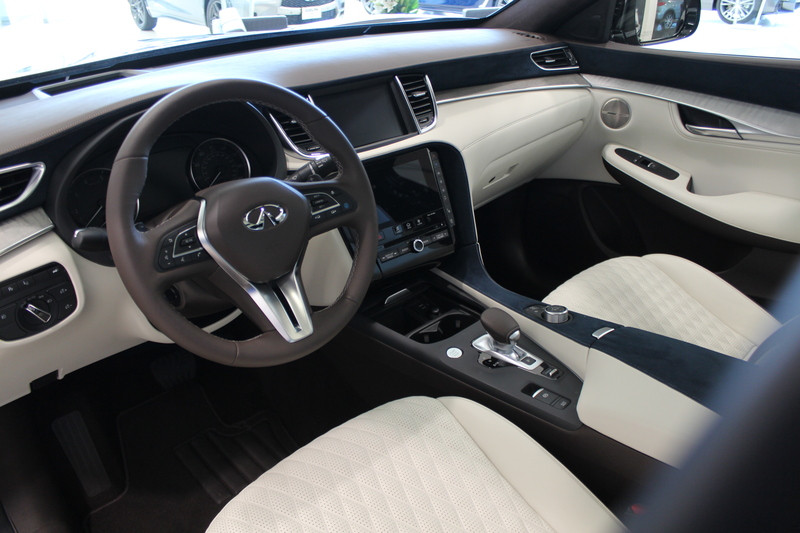 The QX50 also comes with Infiniti’s ProPILOT technology, offering advanced semi-autonomous technology. 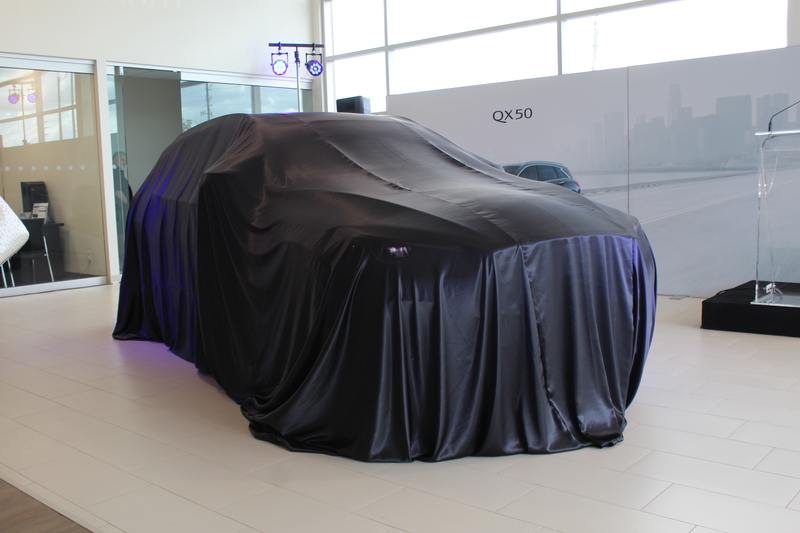 As Alli finished his portion he invited Joanne back to the stage to unveil the QX50. Joanne began to introduce our sales team to the crowd. 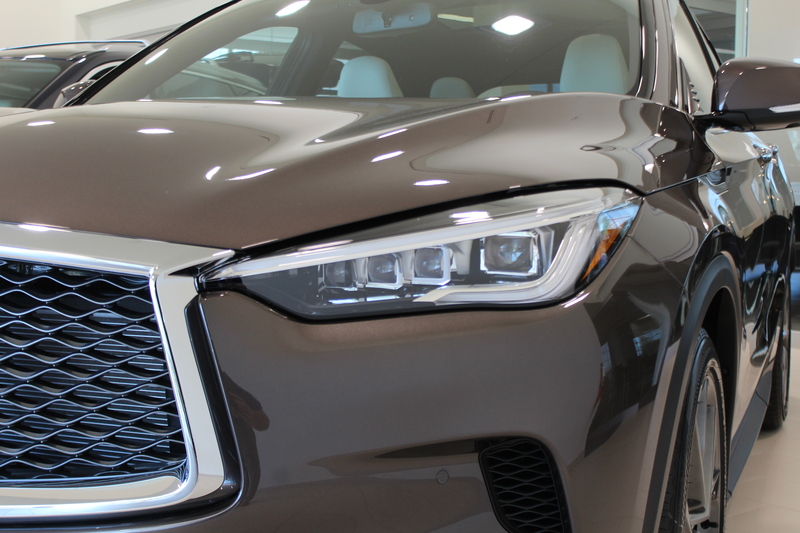 After a short video presentation, two members of our sales staff, Richard De Souza and Dino Zunic pulled the silk sheet revealing the all new Infiniti QX50 to loud applause. Our guests quickly gathered around the vehicle and took turns sitting in, and admiring the beautiful design. Our staff were on hand to answer everyone’s questions and provide information to everyone. If you happened to miss the unveiling, you can watch it in its entirety here. 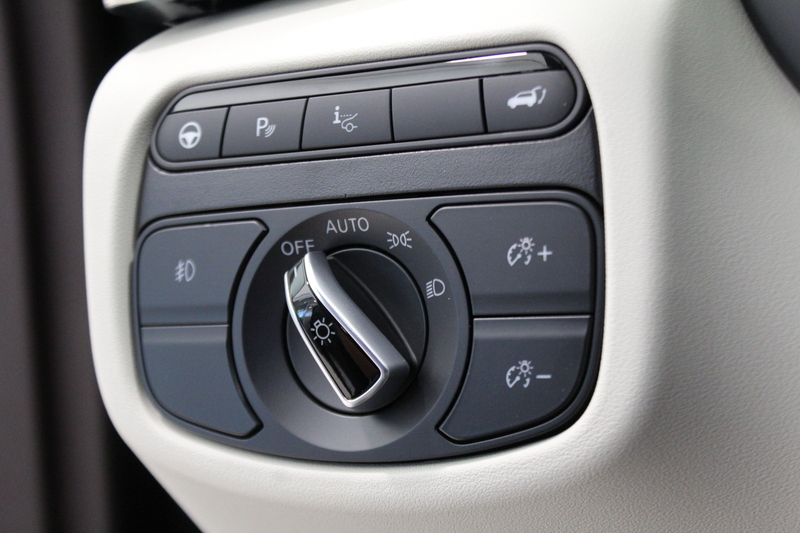 If you have any questions or wish to pre-order your QX50 you can do so here. 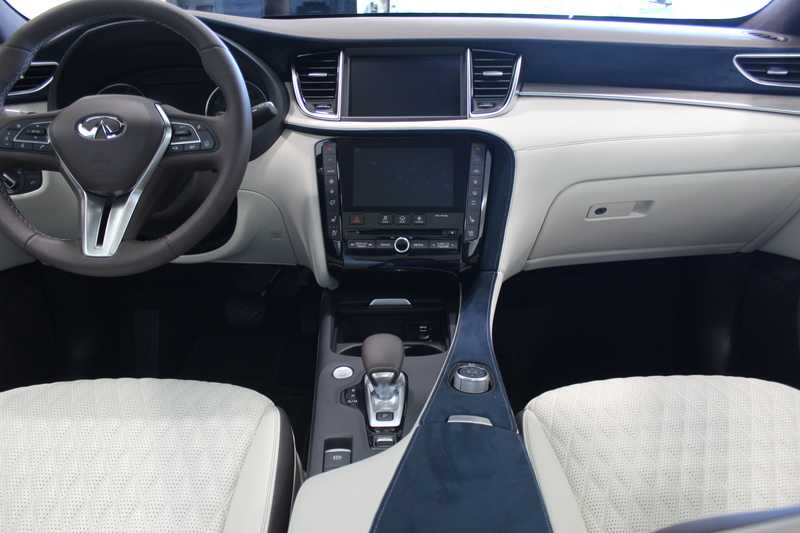 Below you will find more photos from the evening, and of the QX50.